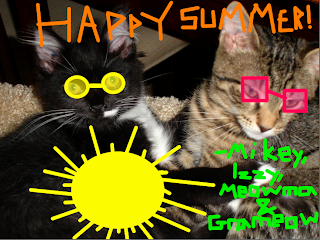 The Kitteh Newz: Happy Summer! Happy summer, my friends! Grameow and I started our traveling adventures early yesterday morning. And we won't be back until July 6... we're going to miss Mikey and Izzy so much. And of course I want to know what all my readers are up to during this delightful hot season (let me know via comments or email)! 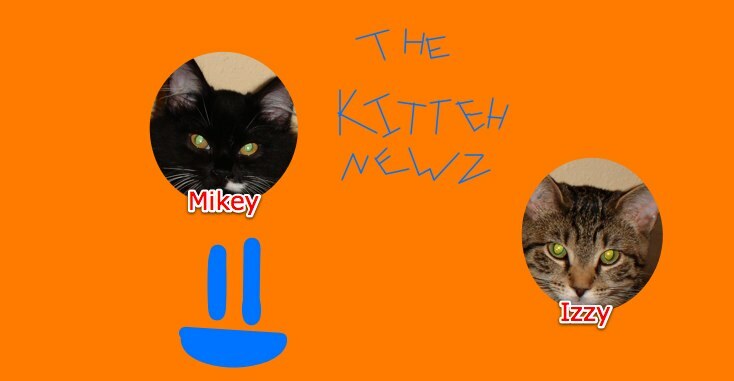 We're missin' ya, 2, Meowma and Grameow! Love!